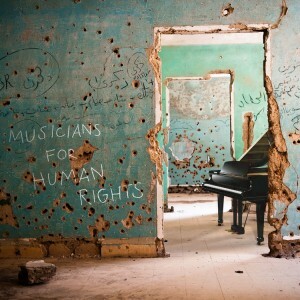 MFHR is a worldwide network of musicians who promote a culture of human rights and social engagement. Founded in 2009 by world-renowned horn player Alessio Allegrini and a group of musicians and humanists active on four continents, MFHR encourages musicians of all levels—students, professionals, and amateurs—as well as audiences to consider how they can advance the well-being of others. MFHR is the organizational and legal entity that oversees the activities of the Human Rights Orchestra. Together with renowned human rights professors, MFHR is creating curricula for music conservatories and university master degree programs in human rights. The mission of Musicians For Human Rights is to foster a culture of humanism through music in the United States and worldwide, in support of the Universal Declaration of Human Rights. The Human Rights Orchestra was the first major initiative of Musicians For Human Rights. The Orchestra is comprised of soloists, chamber musicians, university professors, and members of leading orchestras of the world who gather together under the leadership of conductor Alessio Allegrini. HRO performs concerts to raise funds for high-impact charities, whether regional or international in scope, and have several times appeared at KKL in Lucerne invited by the International Human Rights Forum Lucerne. Guest soloists have included Maria João Pires, Hélène Grimaud, Laurie Rubin, Isabelle Faust, Ilya Gringolts and Teo Gheorghiu. The Orchestra annually commissions a new work inspired by human rights events, champions, or principles.